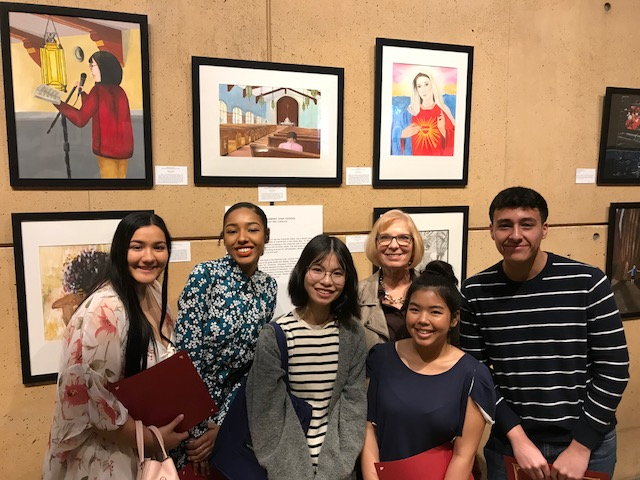 Five Alemany art students have been selected to represent Bishop Alemany High School at the Robert Graham Memorial Art Exhibit at the Cathedral of Our Lady of the Angels (555 W. Temple St., Los Angeles, 90012) in Downtown Los Angeles. Robert Graham was a sculptor who created many wonderful art pieces for the Cathedral including the bronze doors and bronze angels. 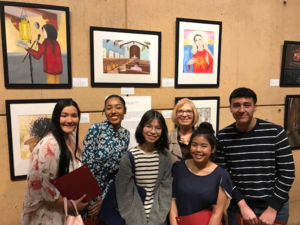 Fifteen Catholic High School participate in this exhibit. The art exhibit will run from January 27, 2019 - April 21, 2019. It is estimated that over 100,000 people will view the exhibit during this time.